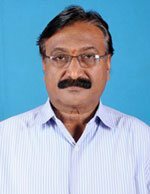 "My early life : I, born in a poor family, had complete my metreculation in Sringeri Govt. High School. As I was followed and 3 younger brothers and 3 younger sisters, I had to discontinue my education to take responsibility of their education and bringing up. 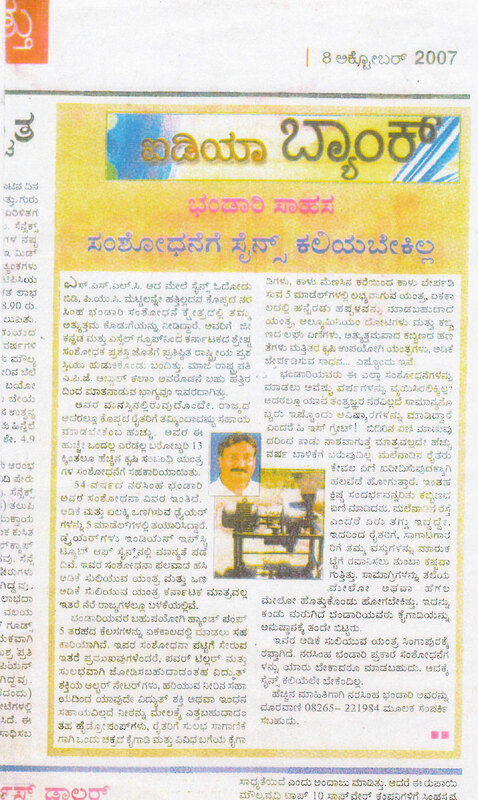 Later I joined Raja Industries as a mechanic in Sringeri. 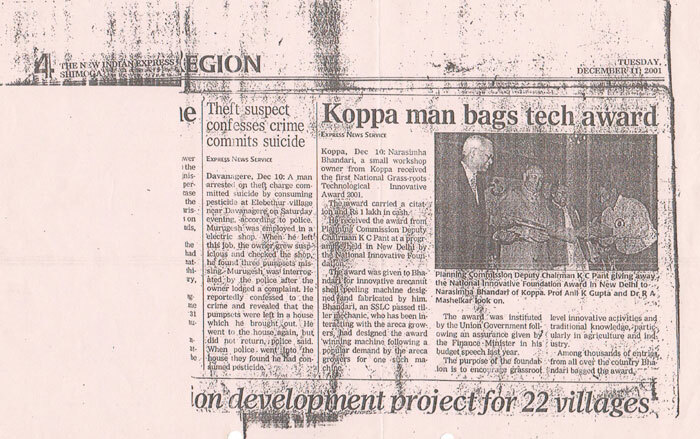 I worked there for 5 years. 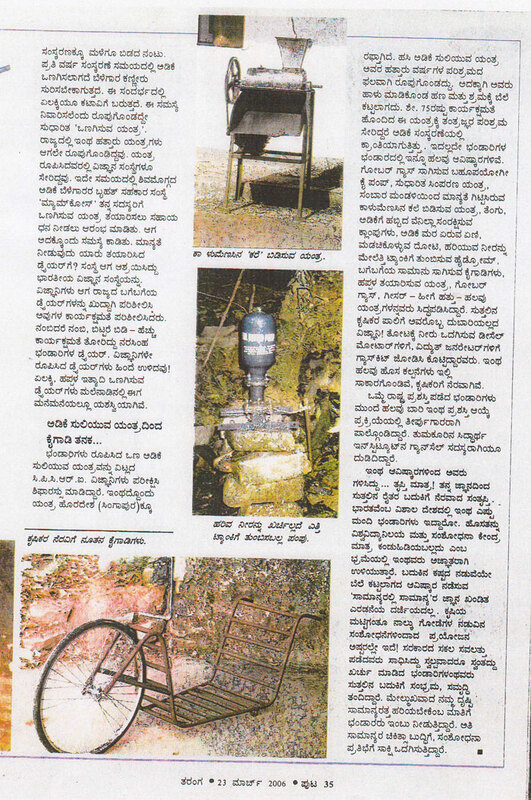 It was a tiller manufacturing company. 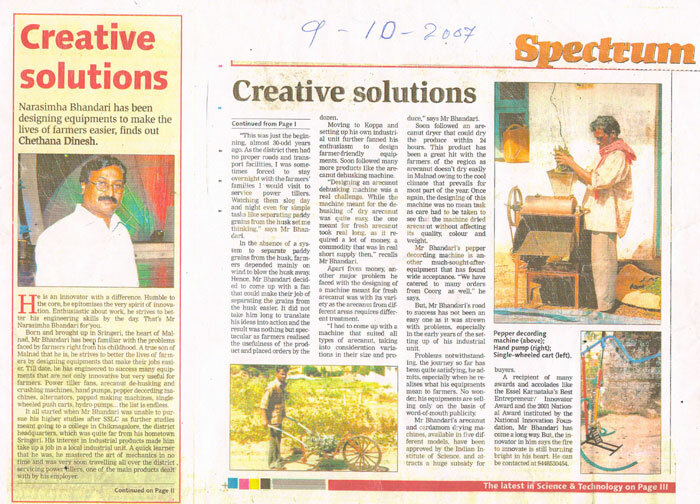 My inventions : Then I started my own industry named "Sri Durga Engineering Works". 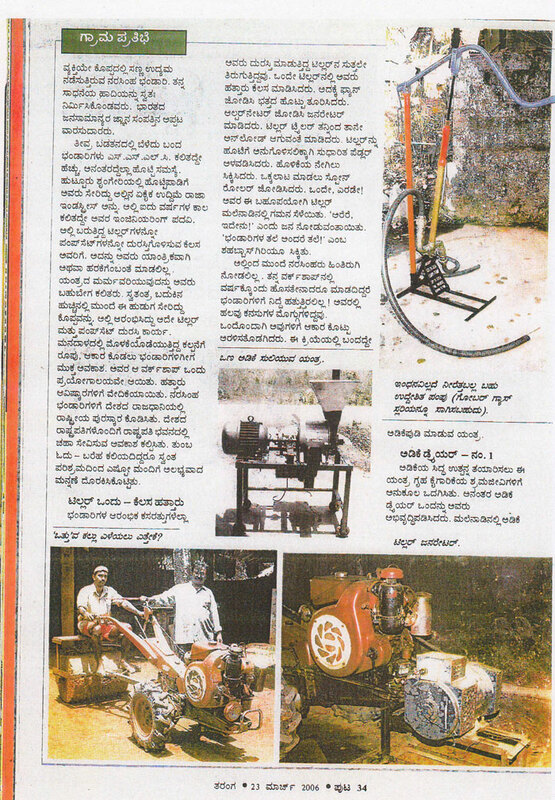 My first innovation is winnowing fan fitted to the	tiller, followed by Wet Arecanut De-husking machine which bought name and fame and was also awarede a National Award by National Innovation Foundation in the year 2001. 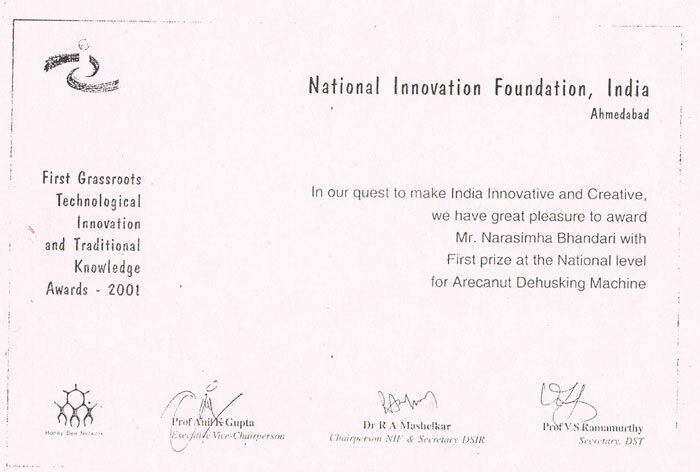 Honour and Awards: In 2001, I was appointed as Award Committee Member of National Innovation Foundation. 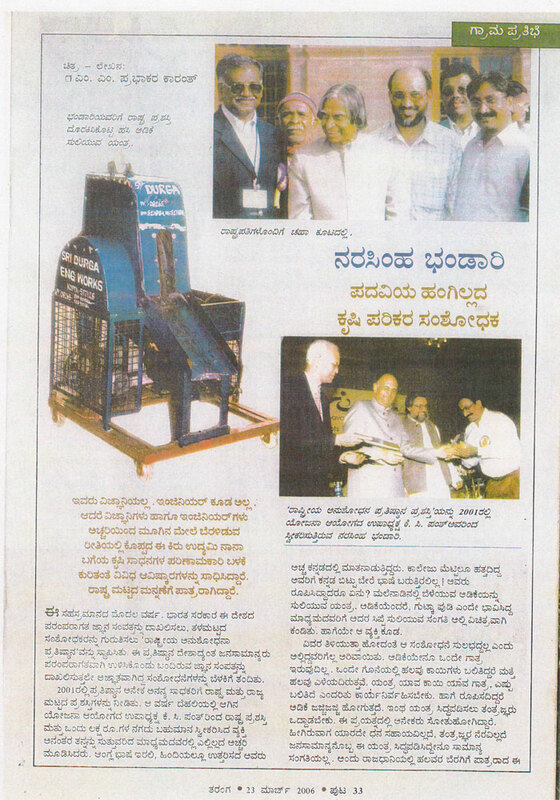 My innovations were Arecanut Crusher, Hydro-Pump making machine. 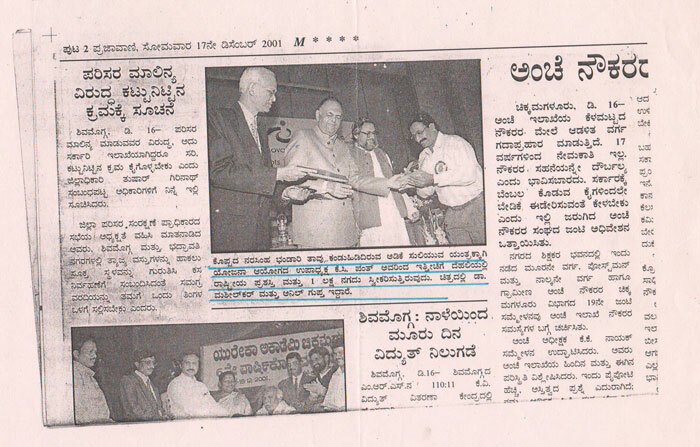 In 2007, I was awarded the 'Best Enterpreneur' award by Essel Karnataka Zee Tele award. 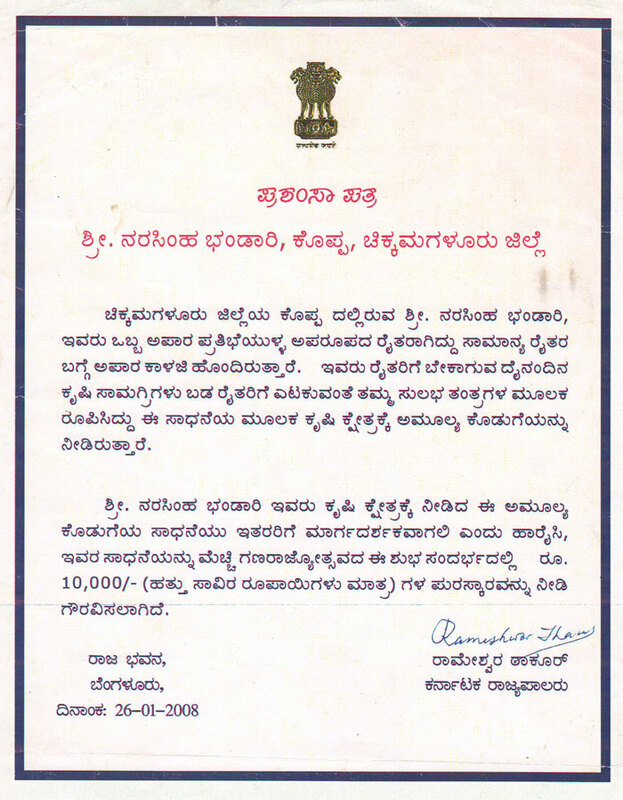 I also received Karnaka State award in 2008 for my innovation in agricultural sector. 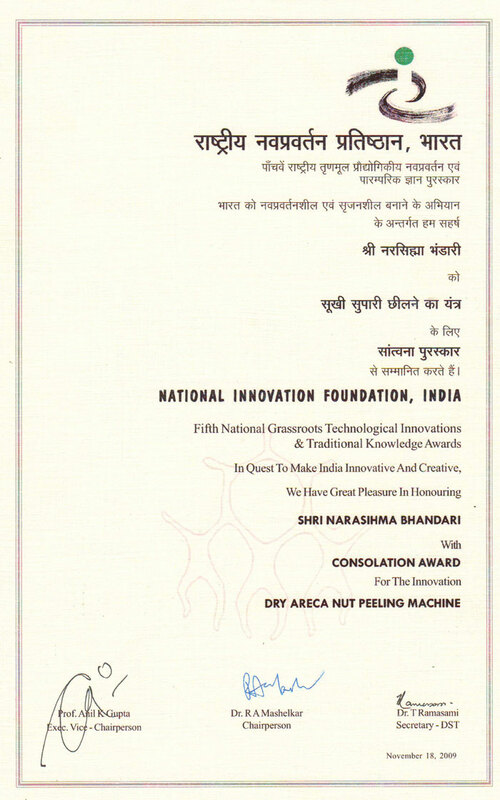 My next invention was Dry Arecanut De-husking machine for which I received National award once again in 2009 by National Innovation Foundation. 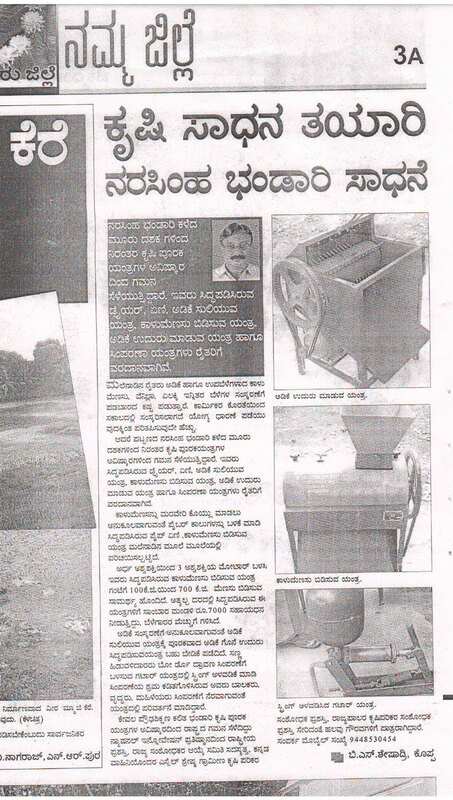 At present, working on an invention of a machine that could seperate husk of coffee and pepper with an intetion to ease the works of farmers and relive them from their work burden."